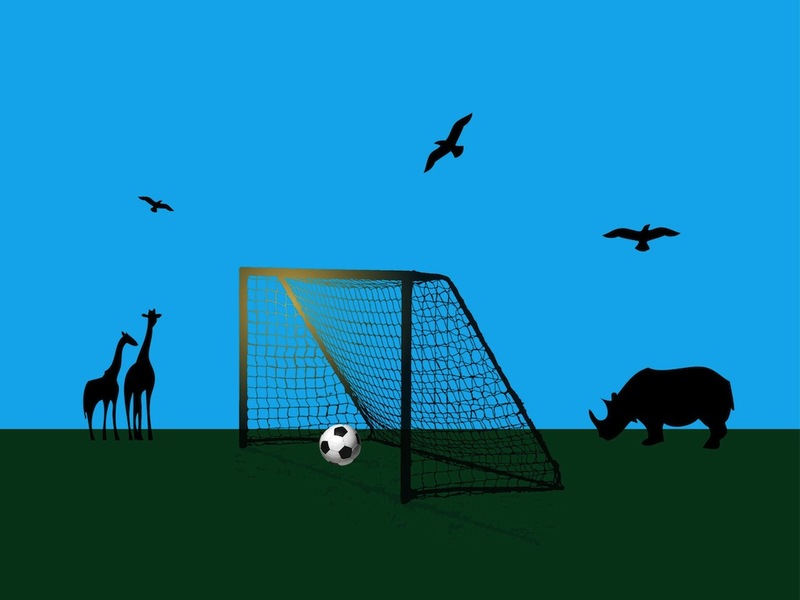 Sports vector graphics with a football goal surrounded by various African animals. Wild animal silhouettes on the field, glossy gradient color frame of the door and a ball in the center. Free vector design for sport, football, soccer, game, match, nature, Africa and animals design projects. Tags: Africa, Animals, Ball, Door, Field, Nature, Silhouettes, Soccer.